A word spelt in different ways , Chili, Chile,Chilli or Chilli pepper, the last is by all means the most accurate, insofar as it tells us that Chillies are from the Capsicum family, like the sweet peppers. Indigenous to Central and South Americas, these fiery little pods now form part in many of the World's Cuisines. It was introduced to the rest of the World by Spanish and Portuguese navigators and through the Spice Trade found it's way to Europe, Central Asia and the Far East. Chilli rapidly became an important ingredient in the food of South East Asia, China and India. So not surprising that today India is the World's largest producer, consumer and exporter of Chillies. There are no less than 200 variety of Chillies and they come in all shapes, sizes, colour and level of hotness. 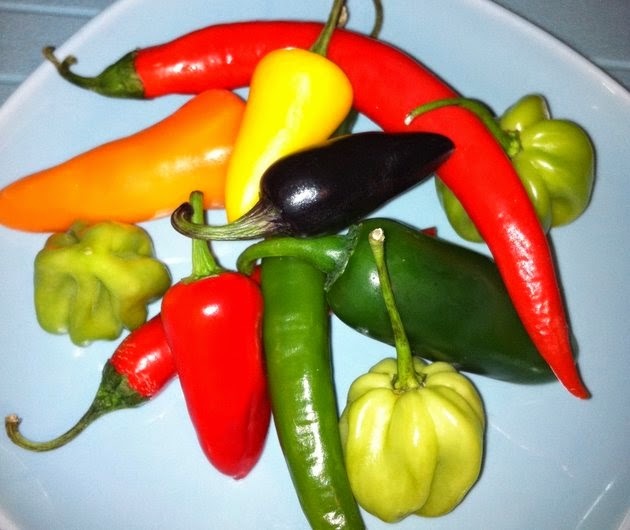 In green, yellow, orange, red or black; From the bell shape of the West Indian Scotch bonnet, tiny pointed bird eye chilli to the large fleshly Hungarian yellow wax peppers; Fresh or dried, whole,as flakes or ground into spicy powders such as Cayenne, Chilli, and Paprika; Preserved in oils and vinegars or turn into sauces such as the World's famous Tabasco. Dried Chilli flakes work well when fried in olive oil with garlic for an Italian style sauce, or Dry roasted over an open flame for a Mexican salsa. 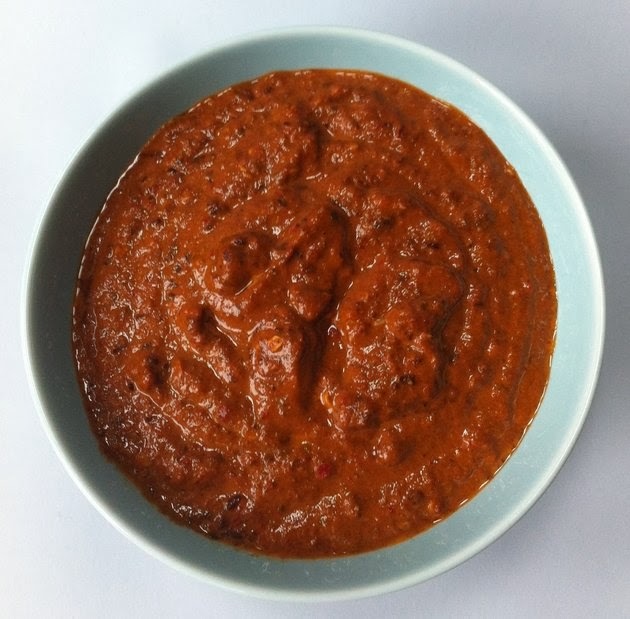 From Hungarian Goulash, Puttanesca sauce from Italy, Mole Poblano from Mexico, Curries from India, Sambal from Indonesia, Harissa from North Africa or Gong Bao Chicken from the Sichuan region of China, Chilli is an essential part of these dishes. Chilli is known to stimulate the appetite as well as improve circulation. High in Vitamin C,Beta carotene, Potassium as well as Vitamins B & E.
I don't know about you but I just love Chillies, and I must stress that I am very against de-seeding Chillies as I believe, much of the flavour & heat are in the seeds. 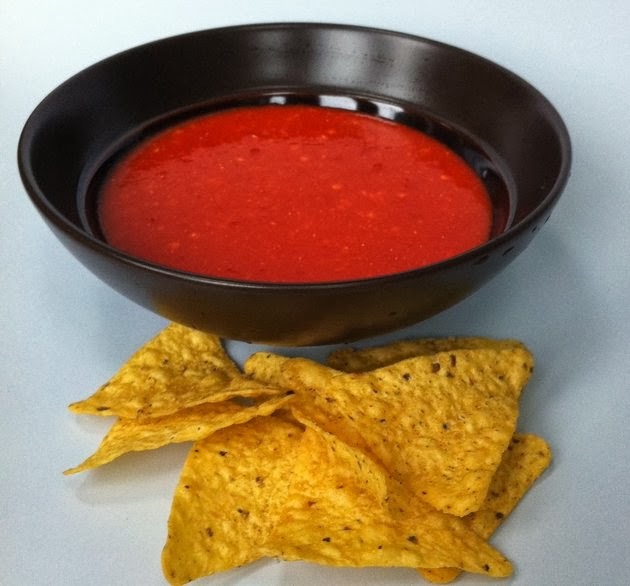 Use less if you don't like your food too hot. But be warned as it can irritate the stomach if eaten to excess. 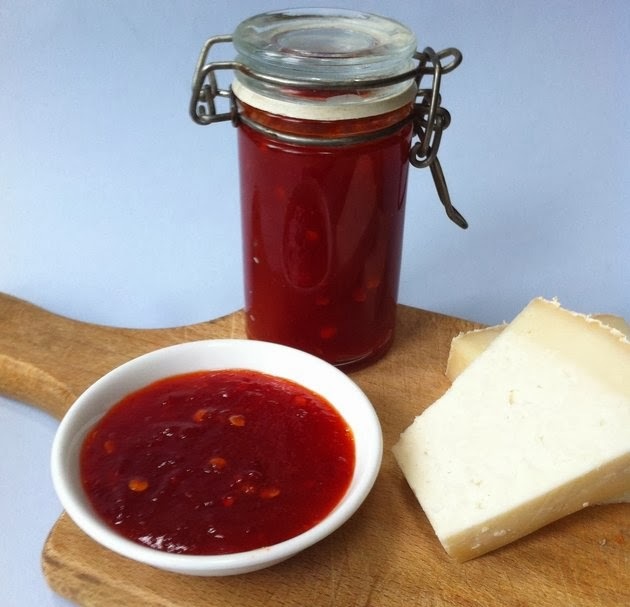 Here are my favourite condiments made with Chillies that I always have handy in my larder or fridge. I always make my own, at least I know what's in it. This is an all time favourite of mine now. The original recipe was shared with me by my friend Julie O'Neill for our "Discover China Cookery Demo " but I have tweaked it to suit my cuisine and taste. It is great for stir-Fry, marinades, even pasta & pizza. It keeps indefinitely stored in air-tight jars or bottles. Heat the oil in a pan over low heat. Add all of the above ingredients with the exception of the chilli flakes and sesame seeds. 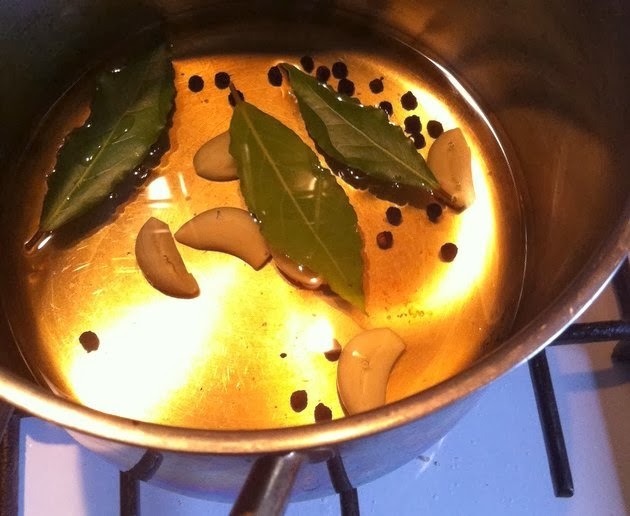 Stir gently and allow the oil to infuse and the spices to release their fragrance. It should by now have turned into a gorgeous warm red colour. Great with cheese, as a spread in sandwiches or a garnish for savoury starters . Place all of the above ingredients in a pan (except the pectin ) to the boil. Reduce heat and simmer gently to reduce by half. It should be quite syrupy by now. Dissolve the pectin in the liquid and blitz with a hand blender until smooth. Pour into sterilised jars and allow to cool. Store in a cool place until needed. 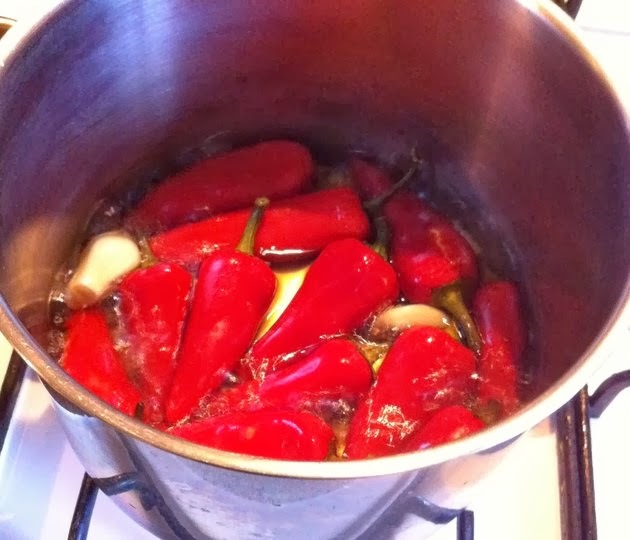 Place the dried chillies in a bowl and pour warm water over to cover. Allow to soften for 15- 20 mins. In the mean time dry- roast the coriander and cumin seeds in a frying pan until they release their aroma. Grind coarsely in a pestle& mortar. Set aside. Now grind the garlic and salt into a paste, then add the drained chillies and pound until smooth. Add the spices and gradually work in the oil bit by bit until well blended into the paste. 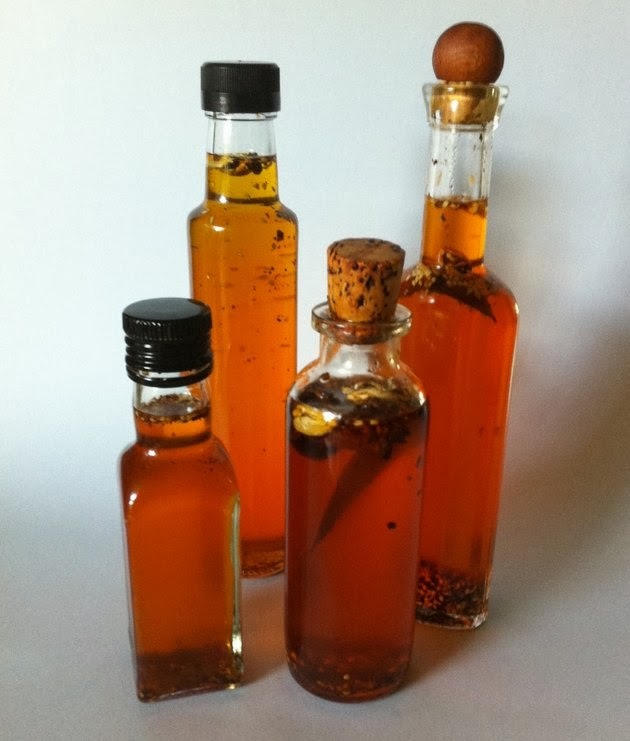 Can be used immediately or store in a sterilised jar , cover with some extra oil and chill. Another favourite and shared by another friend Lily Ramirez- Foran , a Mexican Cook in Ireland. Once more I have tweaked the basic recipe & method to my taste. Place all ingredients in a pan ( except the oregano and oil )and bring to the boil . 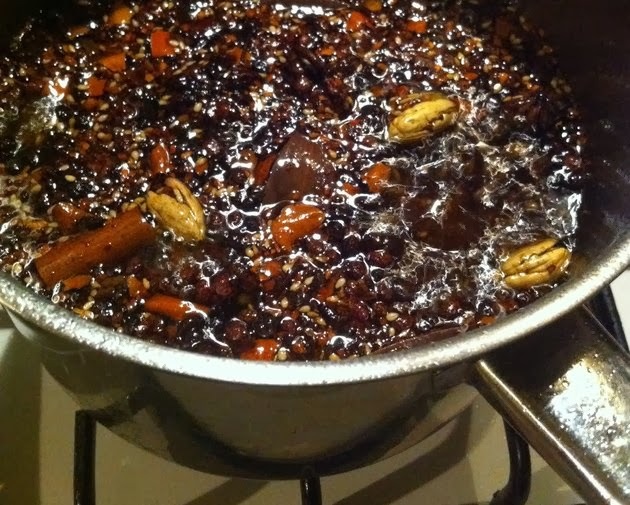 Turn down heat and simmer until the chillies and garlic have softened . Allow to cool. Place the drained chillies, garlic, oregano, oil, and about 2 tbsp of the cooking liquid in a blender and blitz until smooth . Hot but utterly delicious !!! Perfect for the Summer B.B.Q or for Whenever you need a fix of Piquancy. 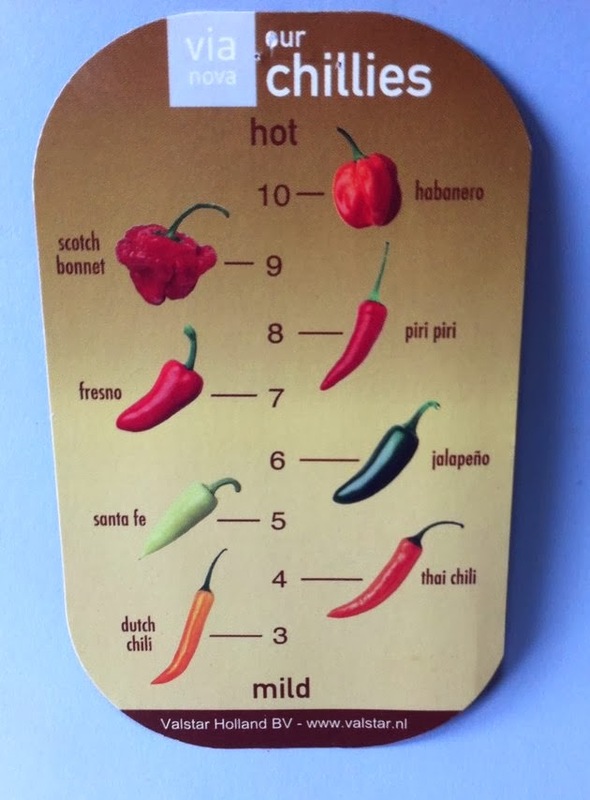 Jalapeno is the Chilli of choice here but any fleshly chilli would be ok too. Bring all of the above to a quick boil. Remove from heat and set aside to cool. 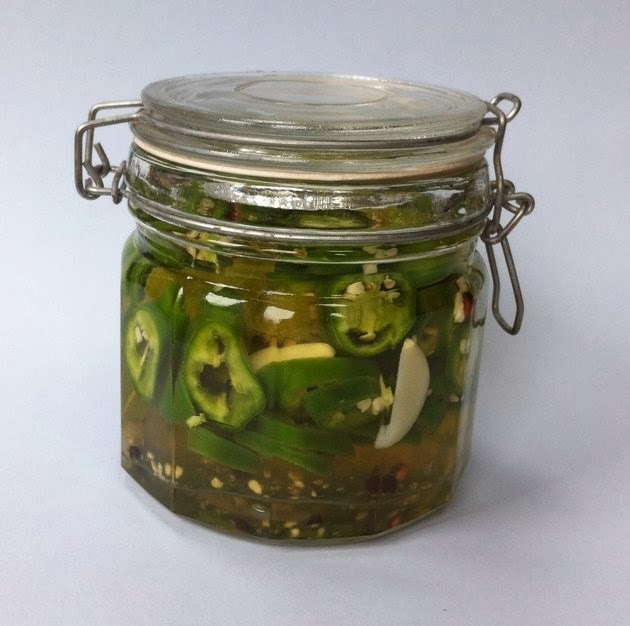 Slice the Jalapenos into thick slices and put into a sterilised air-tight kilner jar. Pour over the warm brine and allow to cool completely before sealing with the lid. Store in a dry cool place and they should be ready within 24 hrs. Now these should be enough to get your tastebud tingling and add fiery tastes to any of your dishes. Salut Robert, glad to see that you are still blogging and sharing great recipes! I will defo try some of your chilli recipes as they would come in very handy. Are you still doing demos at Cooks Academy?